LIVE FROM GAME TIME BAR AND GRILL IN PERRY FOR OUR 2019 NFL DRAFT PARTY! 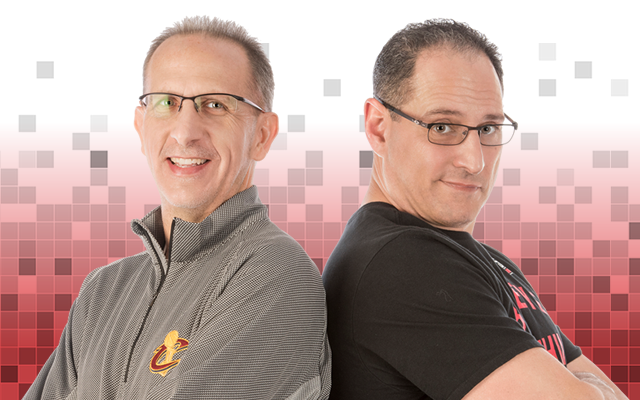 SAM AMICO from FoxSportsOhio.com and AmicoHoops.net joins the show to talk Cavs off-season and why he thinks the Cavs should "hit the reset button". Hey the “Roadman” Kenny Roda here, if you need a new or used car, then head on up to the Waikem Auto Mile and do it “TheWaikem Way” like I did. Great brands to pick from like Ford, Honda, Kia, Subaru, Mitsubishi and Hydunai. You can’t beat the 70 years of experience from the Waikem auto family and my experience with them has been outstanding. So do like I did and get your next car the “Waikem Way” and tell’em the “Roadman” sent ya! If you’re looking for outstanding health care with doctors and people you can trust, Mercy Medical Center is the place for you! Mercy will answer all your health concern questions and meet all your health care needs. Grass Master has been providing Northeastern Ohio with full service lawn and landscaping services since 1981. They work with both residential and commercial property owners to ensure that their grass and landscaping is the greenest on the block. Whether you need fertilization and weed control or a complete lawncare service plan that includes landscaping, mowing and maintenance, Grass Master can help. Contact our friend at Grass Master today for a free consultation and learn how Grass Master can turn your lawn into a masterpiece. For a lawn that looks good enough to eat! You can be sure you’re getting the best deal in the area!